"On that day twenty-five thousand Benjamite swordsmen fell, all of them valiant fighters. But six hundred of them turned and fled into the wilderness to the rock of Rimmon, where they stayed four months." In a rare display of national unity Israel unites against their own tribe of Benjamin when they see the dismembered concubine of the Levite and hear his story. The social morality is so low in Israel that the tribe of Benjamin feels it is honorable to defend the men in their tribe who had committed the atrocity of Judges 19:22, 25. On the other side of this battle is the other tribes of Israel who unite behind the morally corrupt and spiritually bankrupt Levite who offered his “wife” (concubine) to the sexual desires of the perverted gang. Israel comes against one of their own tribes with a holy anger and an intensity they should have had against the Canaanites. Israel was defeated severely in their first two battles against Benjamin. The united tribes of Israel had to face the elite left-handed stone slinging warriors of the tribe of Benjamin. (This is strange since the name Benjamin means “son of my right-hand.”) There is no victory for Israel as the warriors of Benjamin defend their freedom to be immoral and sexually perverse. But, during the third encounter the tribe of Benjamin is soundly defeated by the other Canaanized tribes of Israel. The entire tribe of Benjamin is wiped out down to the last 600 men. It is as if Israel were fighting a holy war for YHWH against their own self. Senusret II (1894-1878 BC) (see here and here). 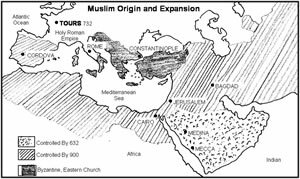 (see here and here) about twenty-five years before the fall of the 12th Dynasty (list here). or do I defend the causes my emotions and my society decide are right? I will learn God's Word and practice God's ways so I will be able to defend righteous causes. 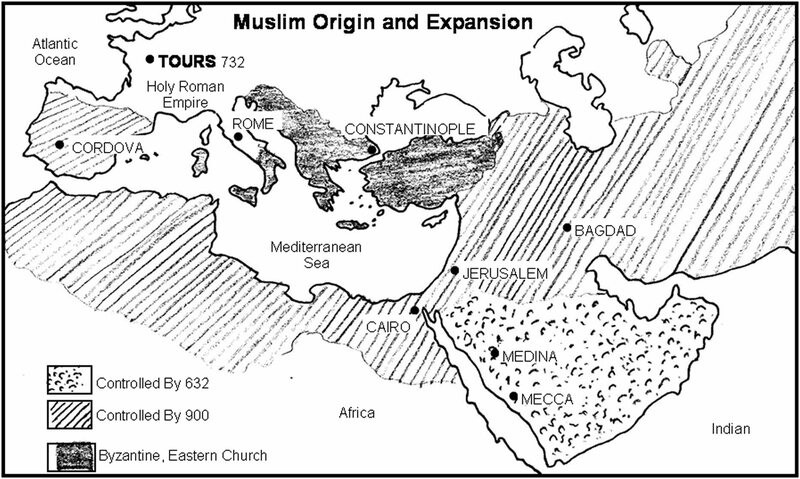 Muslim origin and expansion detailed on a map. 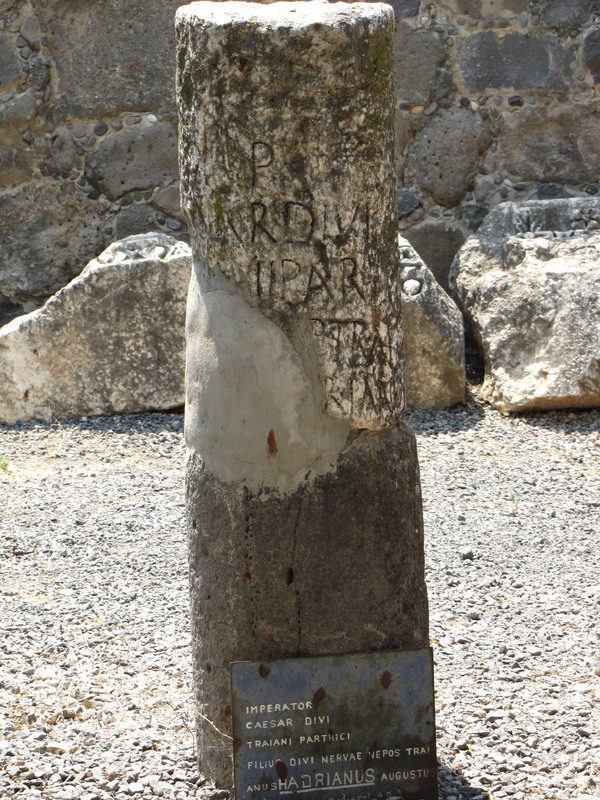 A pillar of Emperor Hadrian stands in Capernaum.